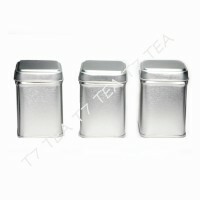 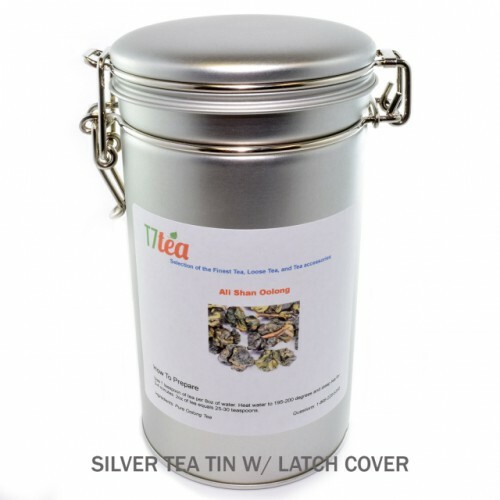 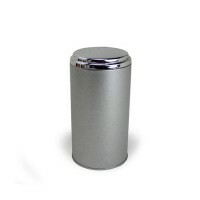 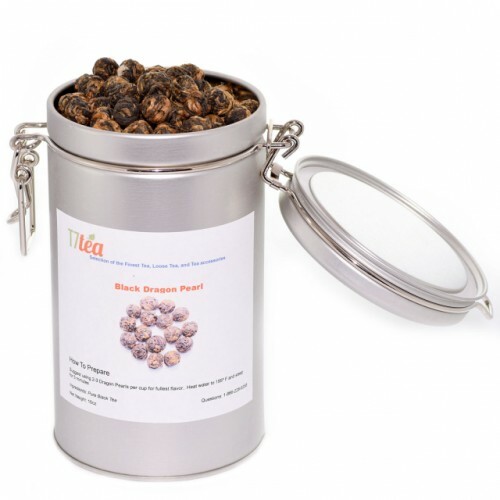 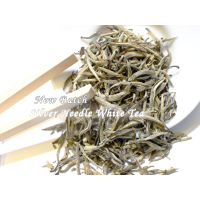 Silver TEA Tin canisters with Latch are perfect for keeping your gourmet tea fresh and ready for use. 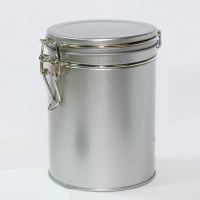 A convenient buckle type clasp holds the lid down tight and a removable silicone gasket insures an air-tight seal. 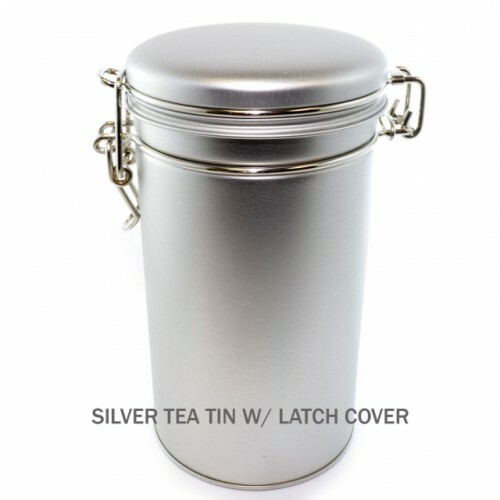 Each tin holds approximately 8oz to 10oz of most teas (but only 4oz or less of the voluminous white variety) and is 3.6" in diameter and 6.5" in height. 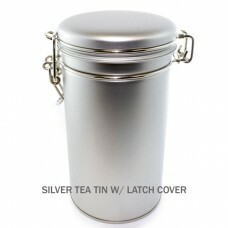 Tea tin is hinged on one side and fastens with a built-in clip on the other side.